First published in 1937, this is a book both modern and nostalgic. It shows a changing city, its slums, backstreets, temples and shrines, a city filled with erudite establishments and riverside brothels. It shows a man trying to justify his life and a glimpse into the creative process, and is, as well, a gentle eulogy on things passing. 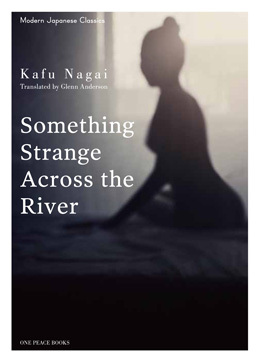 Kafu Nagai (1879-1959) was the pen name of Sokichi Nagai, who wrote about geishas and brothel workers in early 20th Century Tokyo. A rebel born into an aristocratic family, he traveled widely.